A non-attainment area is an area considered to have air quality worse than the National Ambient Air Quality Standards. 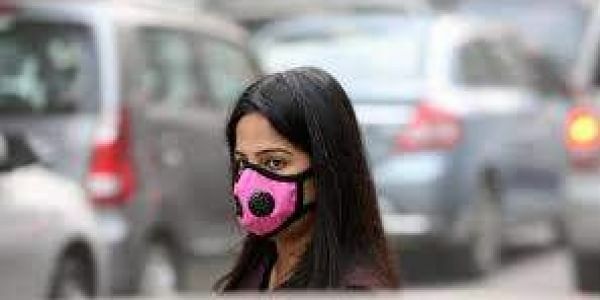 NEW DELHI: There is a proposal to take up source-apportionment studies in around 100 non-attainment cities under National Clean Air Programme (NCAP), the government today said. Minister of State for Environment Mahesh Sharma in a written reply in Rajha Sabha said on the basis of analysis of data for five years generated under National Air Quality Monitoring Programme (NAMP) during 2011-15, 94 cities have been identified as non-attainment cities. In addition, few cities have also been identified as polluted cities as per WHO data base, he said. "It is proposed to take up source-apportionment studies in these cities under NCAP. A timeline of two years has been indicated in NCAP with reference to source apportionment studies for all non-attainment cities," he said. He pointed out that organizations, institutions and universities having expertise and background in air pollution studies will be involved along with Central Pollution Control Board (CPCB) and State Pollution Control Board (SPCBs) for conducting these studies. He said the CPCB is conducting a nationwide programme for monitoring ambient air quality across the country under NAMP. At present there are 703 manual ambient air quality monitoring stations covering 307 cities and towns in 29 states and six Union Territories. "Under NCAP, it has been proposed that manual monitoring stations shall be strengthened from 703 operating stations to 1000 stations to cover the uncovered district & towns," he said. The overall objective of the NCAP is comprehensive management plan for prevention, control and abatement of air pollution, besides augmenting the air quality monitoring network across the country. Sharma said that in addition, there are 132 Continuous Ambient Air Quality Monitoring Stations (CAAQMS) installed in 68 cities in 17 states and UTs. He said 108 CAAQMS are proposed to be installed in 62 Cities in 31 states and UTs. "The Budgetary allocation under Central Public Sector Undertaking (CPSU) project for 60 stations in 38 cities in 27 states and UTs are to be met from the Corporate Social Responsibility (CSR) funds of CPSU," he said. These stations are proposed to be installed by June, 2019 and the budget for other 26 CAAQM stations in 24 Cities in 19 states and UTs are to be met from grant in aid from Environment Ministry by sharing capital cost percentage with states and UTs - - 50 per cent for states, 90 per cent for the North-Eastern States and 100 per cent for UTs, he said. "These stations are expected to be installed and commissioned within a year. Budget for total 14 CAAQM stations in five cities in two states and UTs are allocated under Environment Protection Cess (EPC) fund from CPCB. These stations are under installation and will be commissioned by December, 2018," he added.